Using dental floss properly is essential to your oral health because it eliminates plaque and gets rid of food bits in places where a toothbrush can’t reach. These areas are in between the teeth and underneath the gum-line. Here are some great oral health tips on clean teeth and dental floss from the dental team at ValleyFair Dental in Maple Ridge. 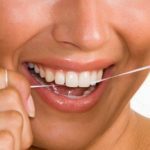 When dental plaque builds up, it can cause tooth decay and gum disease, which is why the dental team at ValleyFair Dental in Maple Ridge recommends that you use dental floss regularly, every day. The two kinds of floss you can use are Nylon floss or PTFE. With nylon floss, you can choose between waxed and unwaxed, and there are many different flavours. The problem with nylon floss is that it can sometimes tear easily, but this won’t happen with PTFE floss. PTFE floss is more expensive but worth it because it maneuvers easily between teeth and won’t shred. 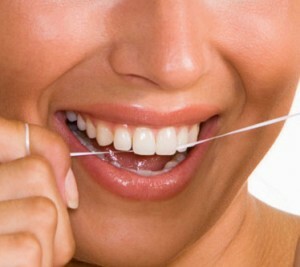 However, both kinds of floss are efficient in eliminating plaque. For any questions about dental floss and clean teeth, contact us at ValleyFair Dental in Maple Ridge and we can give you all the information you need.